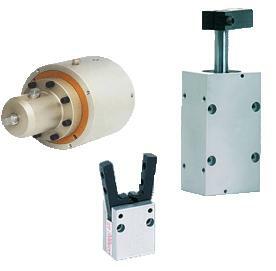 Compact Automation is a market leading manufacturer of space efficient custom automation solutions such as hydraulic cylinders, air cylinders and linear actuators along with standard pneumatic automation components. Compact Automation has over 25 patents and has manufactured over 50,000 modified and custom designs. Compact Automation offers OEM rotary actuators as well as VAL-U-ACT and TURN-DEX rotary actuators and more including valve actuators and pneumatic rotary actuators. Workholding cylinders function to secure materials or parts that require work to be performed on them such as machining and processing. There are many different types of work holding products including pneumatic grippers, intensifiers, twist cylinders, collet closers and pin-act cylinders. Each of these products offer particular advantages for specific applications, and are often utilized in the industrial automation, medical, electronics industries and more. Guided cylinders outperform conventional non-rotating cylinders due to the elimination ofrod rotation as well as increased side-load bearing capabilities. Compact GC2000 is designed for short stroke, limitedspace applications in which a cylinder is needed that can guide and support its own load. Additionally they are designed for enhanced torsion and direct side load performance. 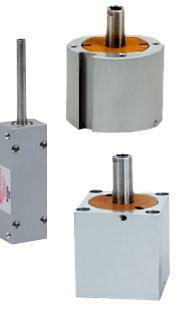 The GC series of guided cylinders includes both guided air cylinders and guided rod cylinders. They are highly space efficient devices that are designed to bridge the gap between expensive ball bearing slides and zero load bearing non-rotating cylinders. Multi Act’s integrated multi position devices include multi position cylinders and multi position actuators, which feature an output shaft that produces both linear and rotary motions and may be operated independently and simultaneously. 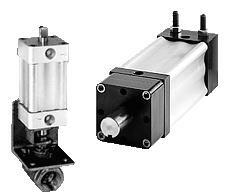 These devices offer many advantages over single position actuators and cylinders; for instance, multi position linear actuators are advantageous compared to single position linear actuators because they can sort or position multiple parts at a time. This makes them ideal for sorting and selective-assembly operations. 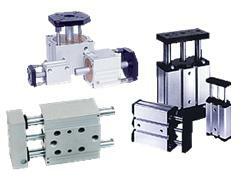 Clayton Controls is a Compact Automation distributor in California. We offer technical support to help our customers solve their applications.